Cats Protection is continuing to call for compulsory microchipping of cats following a parliamentary debate on cat welfare. 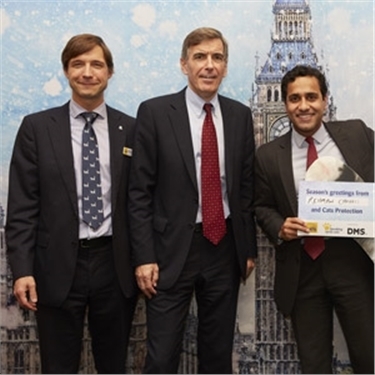 Cats Protection welcomed the House of Commons debate, on Tuesday 11 December, but said more could be done to ensure cats receive the same legal protections as dogs. Responding to the debate, Cats Protection’s Head of Advocacy & Government Relations Jacqui Cuff, said: “It’s encouraging to see cat welfare on the political agenda, and we welcome any action towards improving feline welfare and protection for cats in the UK. “We are pleased this debate recognised the importance of microchipping of owned cats and indicated that the Government will work with Cats Protection to increase microchipping rates. “We’re calling for microchipping of owned cats to be made compulsory, as it is for dogs, to aid reunification of cats with their owners and to identify and inform a cats owner in the sad event that a cat is a victim of a road traffic accident. In the last 12 months 62% of the cats taken in by Cats Protection’s Adoption Centres across the UK were not microchipped. A survey conducted for Cats Protection showed that only 27% of owned cats in England are not microchipped. The charity said it was encouraged by the debate’s discussion of how microchipping can be used to inform owners if their cat has died in a road accident. As well as microchipping, the debate also discussed the current review of air weapons regulation for England and Wales.